Essentially ignoring my whole previous post about an American tech tree overhaul (mainly because it’s too impractical and I personally don’t see them doing anything about the current fake American TDs… so with that – I’ll start with the Alternative Line first. 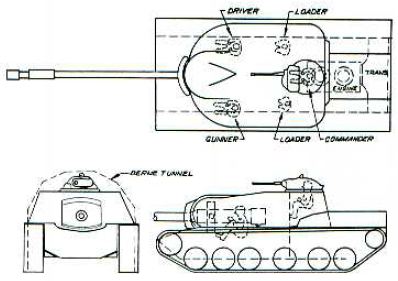 Basically it would add in the earlier versions of the T110 tank to TD branch as a sort of “thinner armored, faster and smaller caliber” casement TD to the other line. 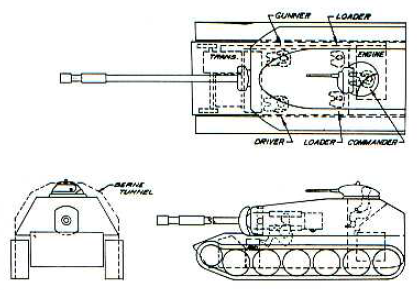 The T95 would remain at tier 9 but be split with the version with the 155mm being at tier 10. 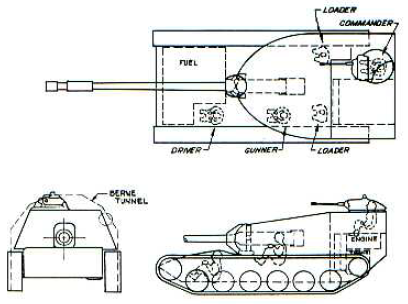 The 155mm T7 gun would be replaced with the historically proposed 155mm Long Tom. 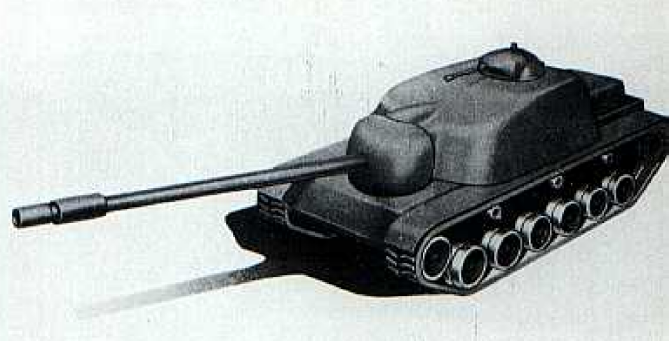 Due to the date it would most likely have been the M2 variant. By now people should have already noticed the difference in hull shape compared to what’s in-game… that’s because the hull we have is a WG fake. 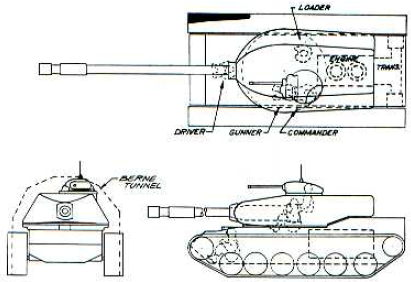 I propose that all T110 tanks get their historical hull, that includes the ones with have in game… Yes, that means new hull on the E5, net cupola and gun mantle as well! 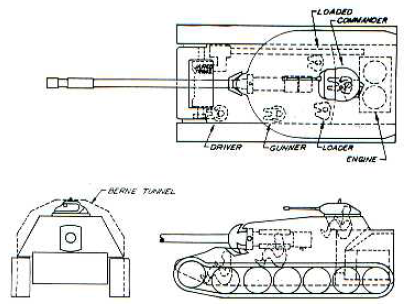 As you can see, just like the rest of the T110 designs it’s not rounded like it is in-game but flat angles… this would actually be a buff to the T110E5s hull as it would let it angle without fear of knowing that the LFP can still be penned because of it being rounded (reducing the possible effective armor). The cupola, while still a weakspot, is much smaller and rounder on the the historical E5 as well.